Let me start by saying how much I loved this STORY! 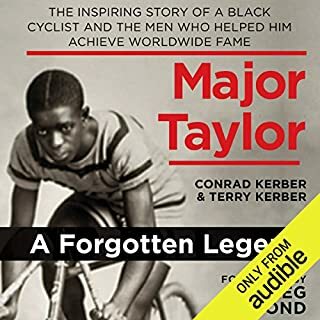 Major Taylor is one of the greatest cyclists and most influential African-Americans in history. The dramatic Flair and beautiful attention to detail bring Major Taylor back to life! I am unable to give it all the stars it deserves simply due to the narrator. I can forgive many of the mispronunciations of foreign languages, but it is much harder to forgive when the names and words are some of the most common and well-known in the cycling vocabulary. I suffered the butchering of words Peloton and the velodrome for chapters but was still shocked when the founder of the Tour de France had his name mangled beyond recognition. Things became even worse towards the end of the book when the narrator ceased to edit out his stumbles but left himself reading the same sentence three times trying to figure it out. I hope this book is re-recorded in the years to come as I would love to listen to it again, but that will have to wait until somebody else is reading it. Straightforward and opinionated, Short Course in Beer is designed to turn the novice beer lover into an expert imbiber and the casual drinker into an enthusiast. Readers will come to understand the beauty of beer and the sources of its flavor, as well as learn which beers are worth our time and which are not. With tongue in cheek, the author examines beer's historical connections to the Crusades, the Hundred Years' War, and modern-day soccer riots. He talks frankly (and joyfully) about the effects of alcohol on the body and brain, he defends beer from its enemies, and ushers it out of the frat house and into the dining room. What insight do you think you’ll apply from Short Course in Beer? 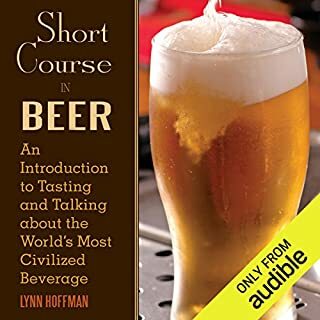 After completing this book I will definitely try creating a home-brew, and have already begun applying the theories to my beer tasting and buying endeavors. What disappointed you about Finding Ultra? The book reads like a shrine to Rich Roll. 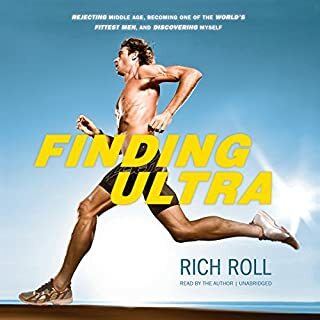 I expected a book on fitness and achieving something, which may be in there after the 7 hours of listening to Rich Roll tell you how many opportunities he ruined.